Our group of 8 skied up the Chickadee Valley today. We started early to beat the solar effect and heat. There was evidence of avalanche activity from March 16th as we skied up the valley, but -7C temps kept the slopes locked in for the morning. 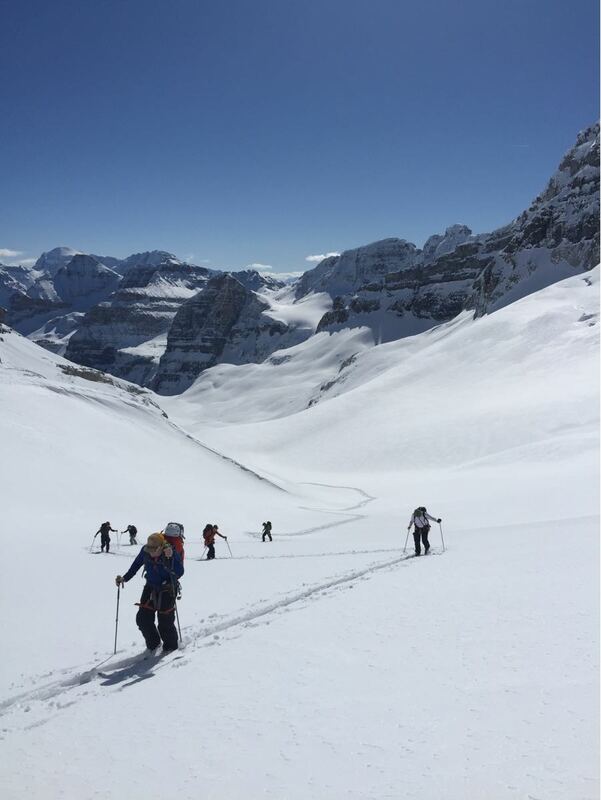 We skied up the headwall and up the pocket glacier to Chimney Pass. 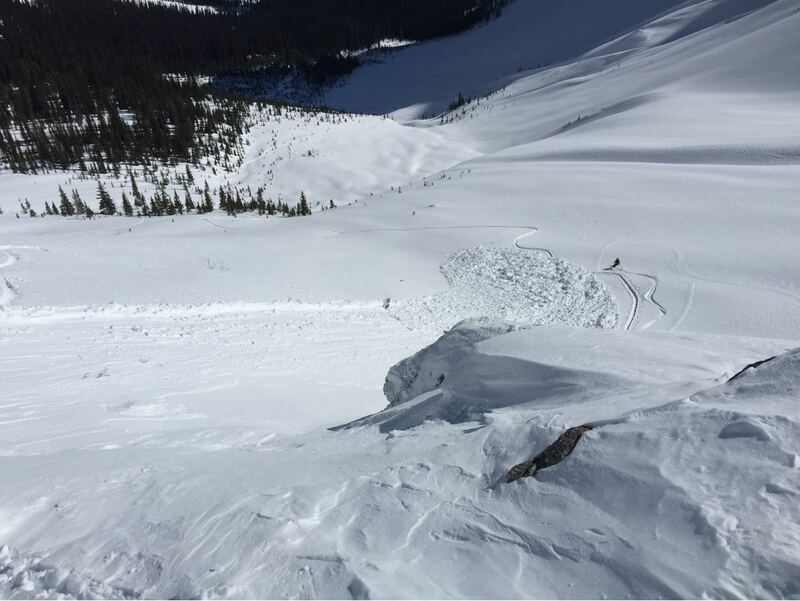 We elected to not ski into the Boom Lake side, due to all of the recent evidence of thin windslab avalanches on north aspects off of Mount Whymper. The temperature was about -2C at 2700m at 1:30pm. On our descent back into the Chickadee Valley we observed numerous moist solar avalanches, but they were not running far (mostly to the top of their runout zones). The point releases were propagating some thin slabs (20-40cm deep). 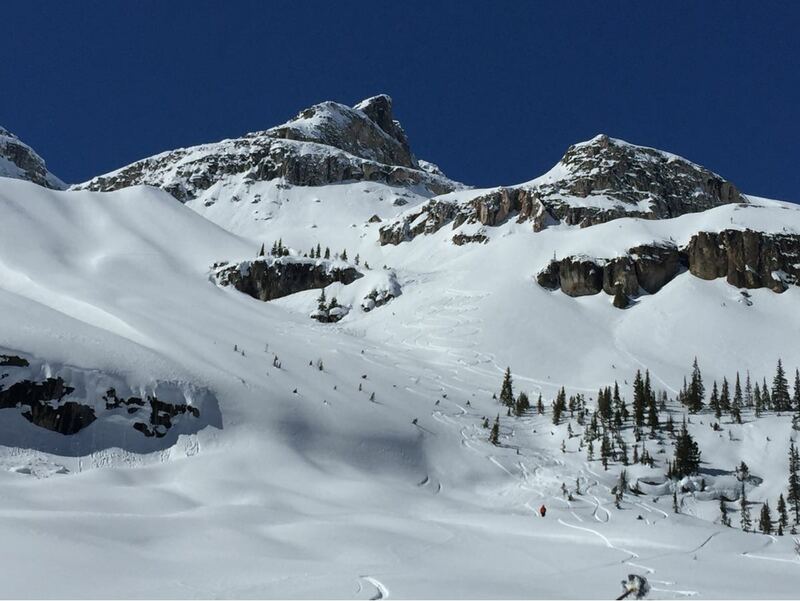 We had a size 1 skier accidental on the headwall as we descended. It was thin (20-40cm deep), 15m wide and ran about 70m. The skier who triggered it skied to the side without issue. Solar avalanches are obviously of concern for the warm period that we are entering, but also be very careful on polar aspects due to the potential for windslab propagation.